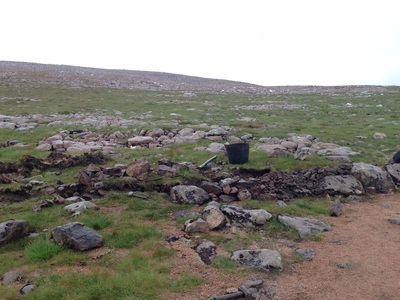 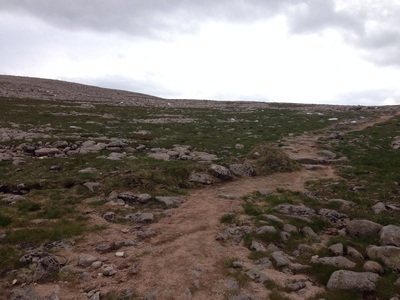 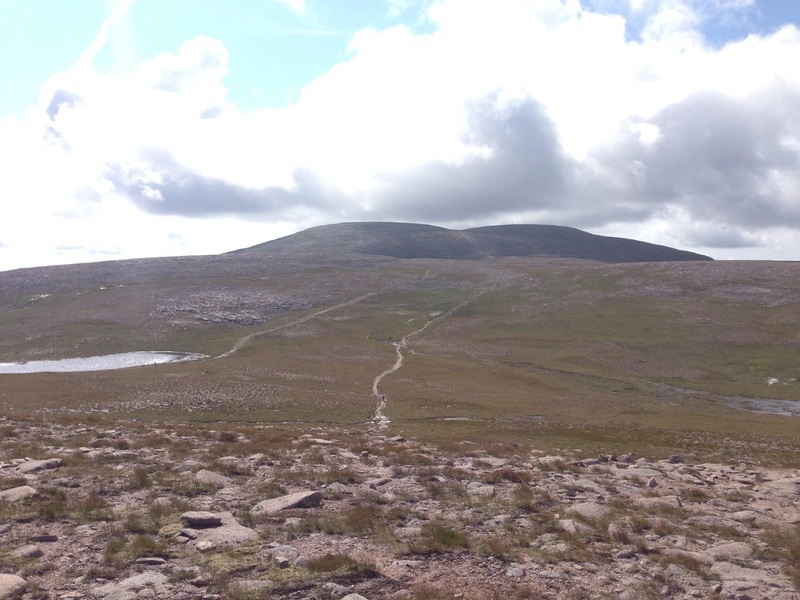 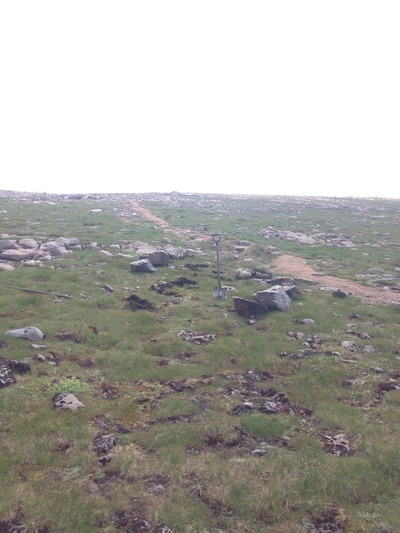 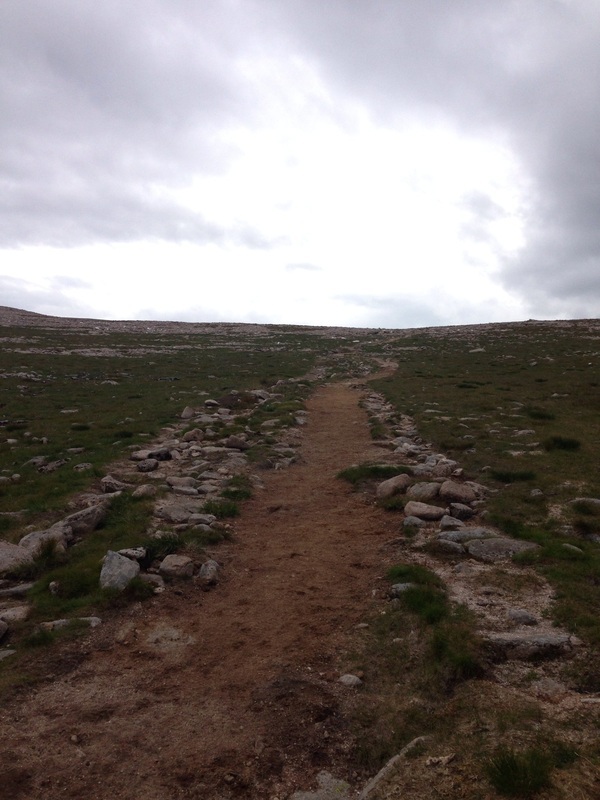 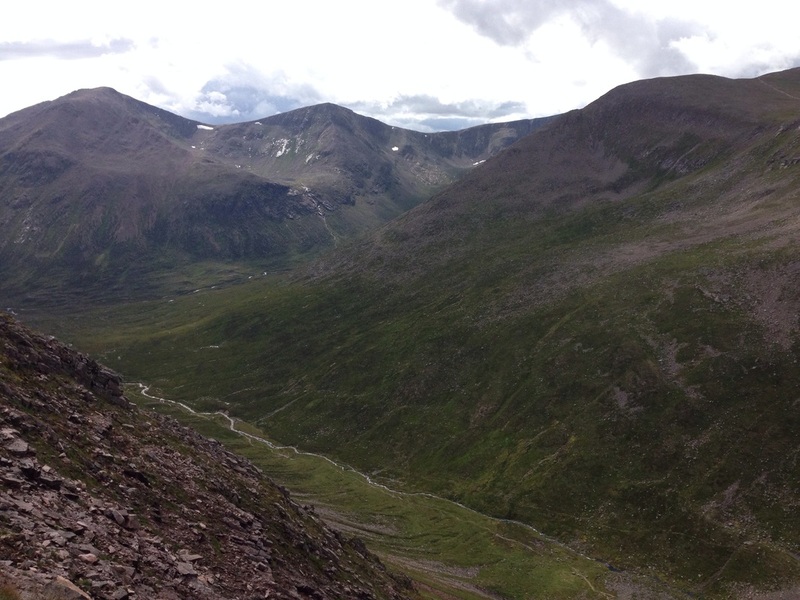 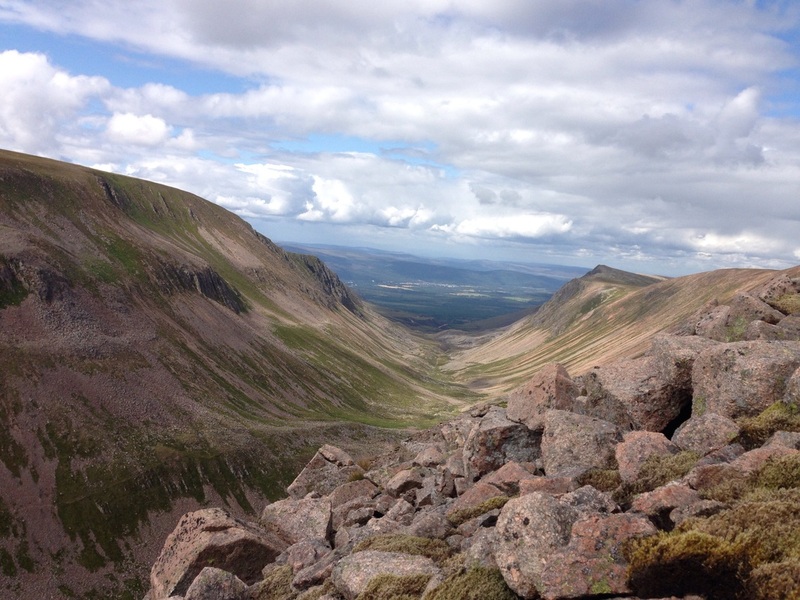 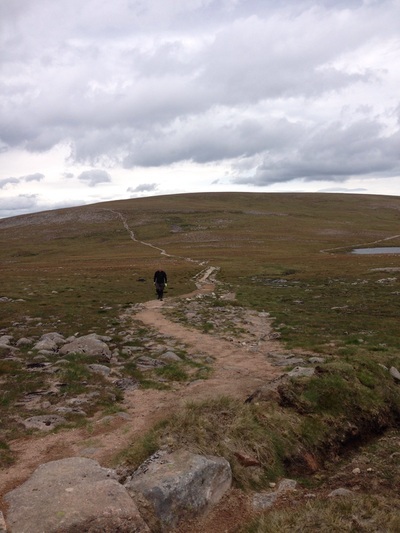 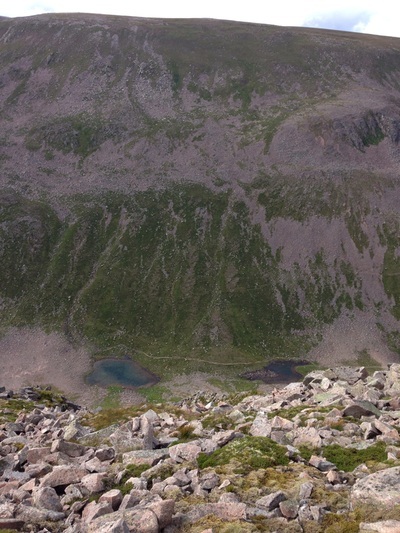 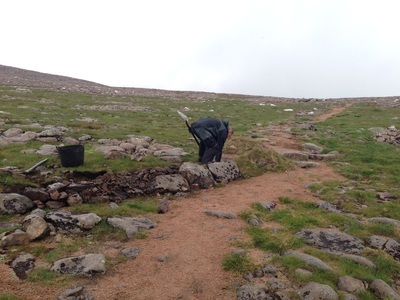 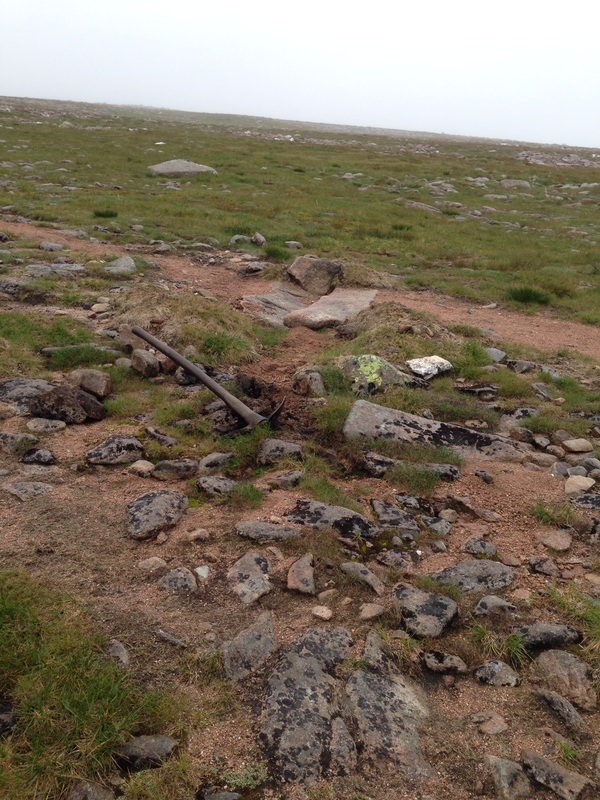 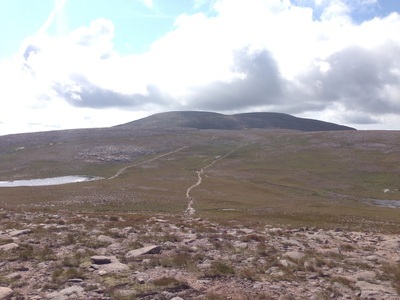 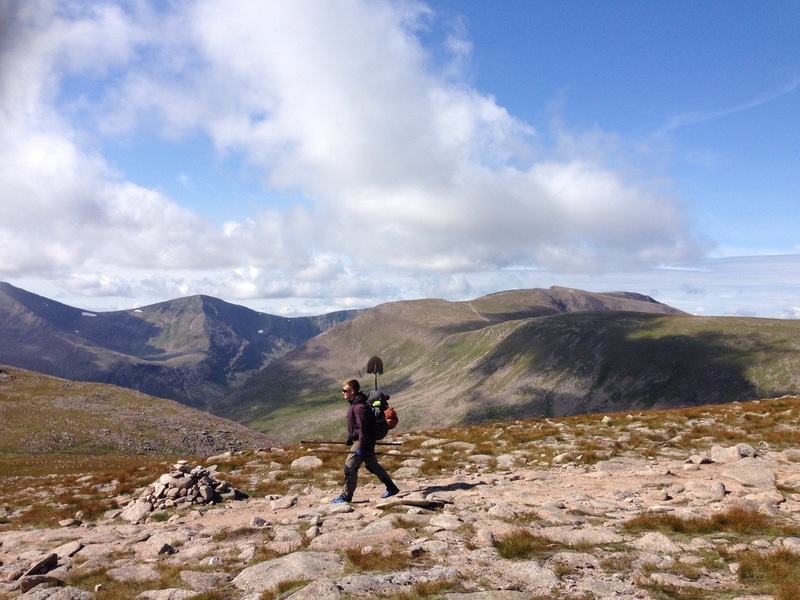 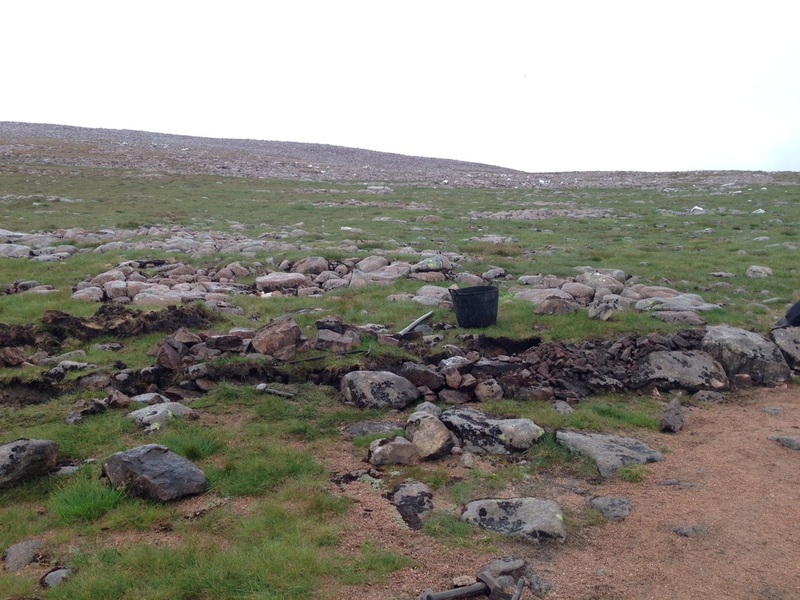 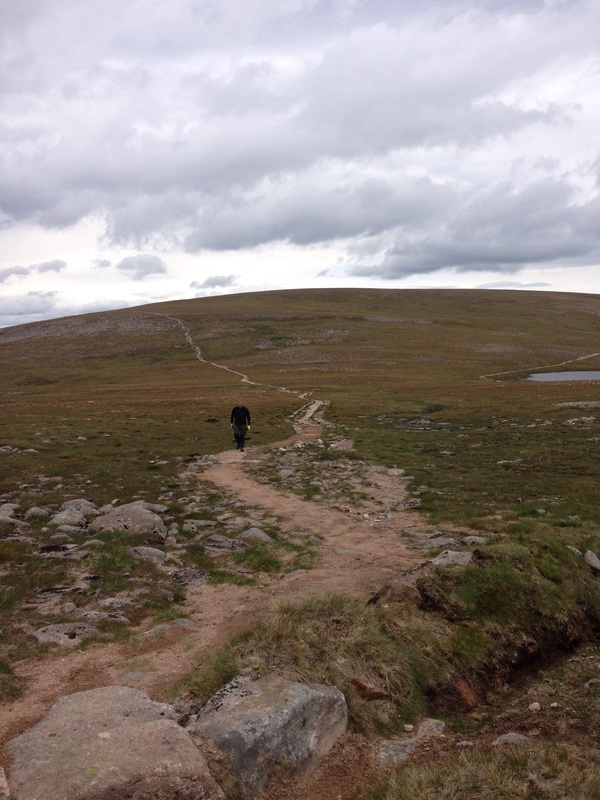 As the 2014 upland path building season moved into late summer C.O.A.T tasked us with repairing a section of path on the way to the UK's 2nd highest mountain Ben Macdui (1309m). 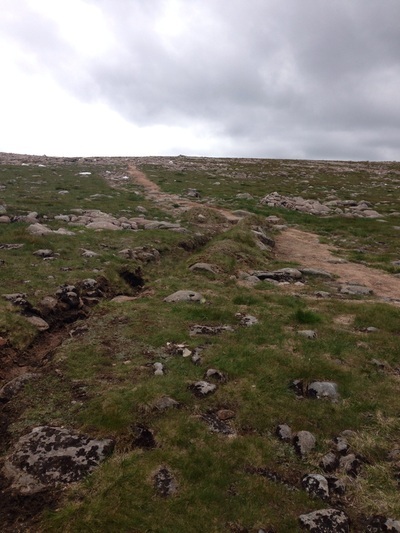 As this is a very popular path, preemptive repairs were needed on a small section of path where previous work had taken place but where the drainage solutions had not worked as well as would of been liked. CWC improved some of the water-bars and extend the drains to shed the water even further away from the path. In addition we widened the path, straightened it out and replaced the lost aggregate surfacing to try to encourage users to keep to the path more. 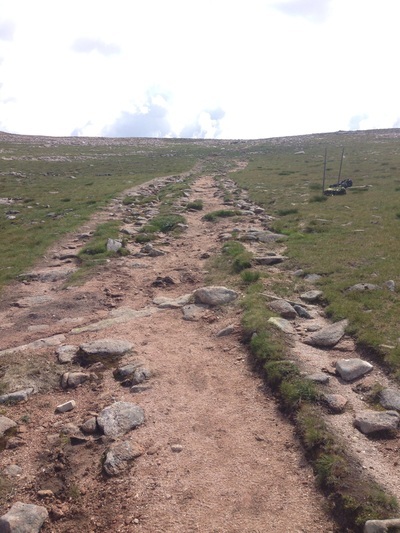 Ben Madui and the path leading to it to be repaired. Walking in on days like this is a pleasure. The heavily water damaged path, with additional braids at the side. 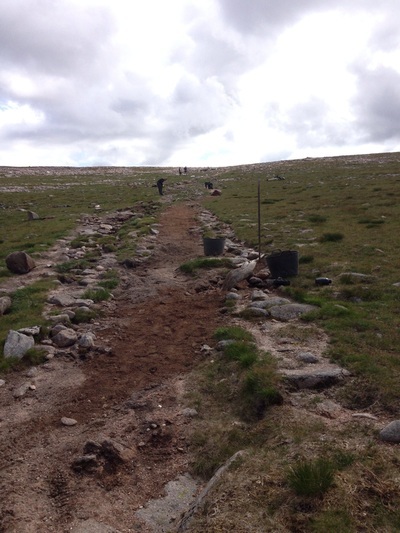 Extending the drainage away from the path. 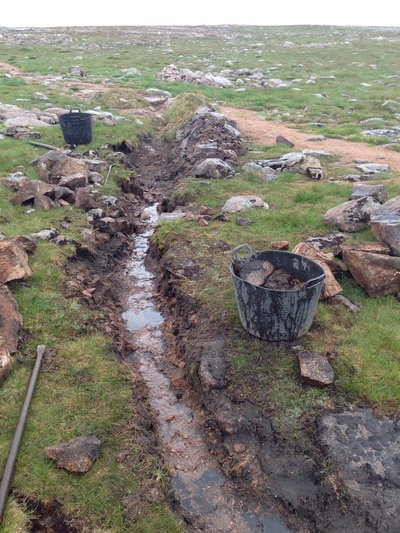 Ditches dug, and landscaped. Notice how a bank has been built to help shed water and also to prevent walkers straying off the path. 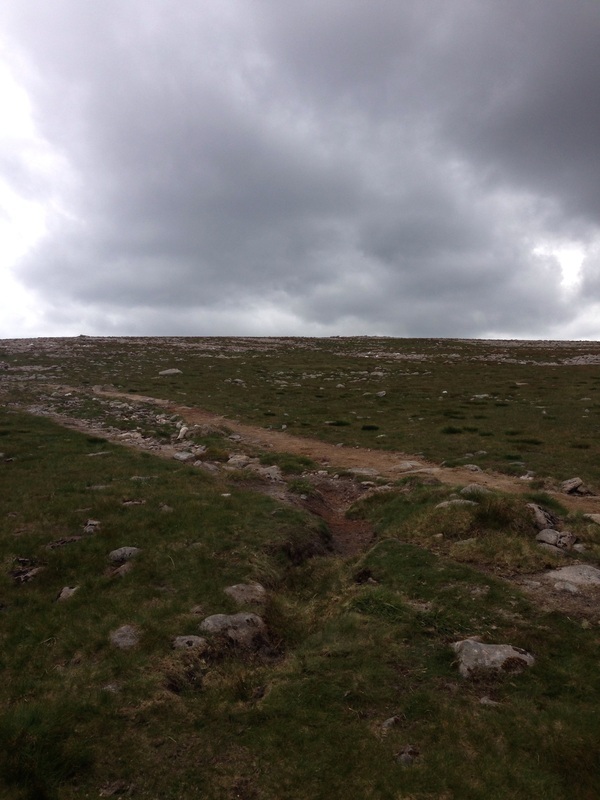 And after! 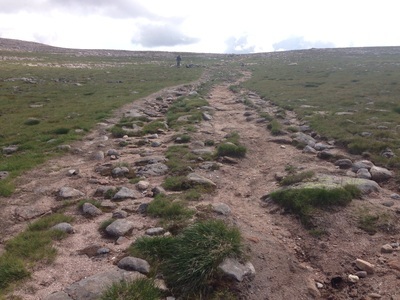 Path widened and resurfaced and edges landscaped.